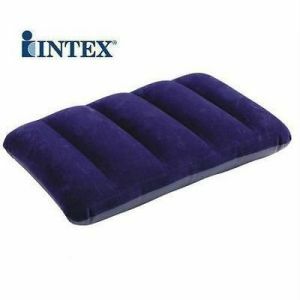 Intex Downy Pillow. For those who need a pillow but lack the space to carry one, this luxurious air pillow is the answer. The waterproof and stain resistant surface makes it easy to keep clean while providing the soft comfort of home. Intex Inflatable Air Pillows are made of high quality material.